Kiss or Kiis – is one letter enough to avoid brand confusion? After 12 months, ARN has done what everyone expected and extended the Kiis brand to Melbourne. Today, Mix 101.1 was relaunched as Kiis 101.1. Now Melbourne has two stations with essentially the same name, albeit slightly different spellings. The David and Goliath legal battle has now been settled with an agreement that both stations can co-exist in the same market but it still seems less than ideal. Will this cause brand confusion and what impact will this have on both stations? How will they be differentiated? If you search ‘Kiis’ Google assumes you have misspelled Kiss. When you tell someone what station you listen to it will required further explanation as both are also pronounced exactly the same way. Will it be the dance Kiss or chart/hits Kiis? The little Kiss or the big Kiis? The one who spells the name properly or the one who doesn’t? Kiss 87.6 or Kiis 101.1? There’s no doubt that the Mix brand had slowly lost relevancy in both Sydney and Melbourne. A complete shift in name and identity was needed to align with ARNs business ambition, and the audience they’re chasing. While the new name ticks a lot of boxes, ARN just don’t appear to have done their due diligence before selecting Kiis as the name. 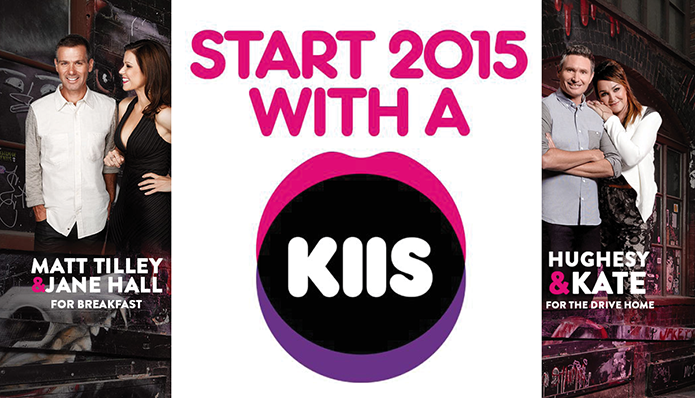 ARN claim that the name ‘Kiis’, was chosen by their Sydney breakfast star Kyle Sandilands. It was apparently based on the LA station that has always had this name and the unusual spelling, based on their allocated call sign. There are of course many Kiss FMs around, some related and some not – most use the correct spelling. When looking at a brand name we always consider the market context; the current and potential competitors. We also consider if a name sounds similar to any other competitor’s brand name. Simply changing a letter in a name is not enough to differentiate a brand, especially if it sounds the same – or even similar (for example ‘b and p’, ‘s and c’ and ‘f and v’ can often be confused depending on how they are pronounced). In this case, all stations in Australian metro markets should have been considered, not just stations in Sydney. ARN, like most operators, need to sell their stations as a network to advertisers, not just single market brands. Aligning the Melbourne and Sydney stations at the very least must have always been part of the plan. Apart from the potential legal implications, as a brand manager or owner, you need to protect your brand investment. You don’t want your hard work to be benefiting others. There is also potential that any negative publicity at one station could impact the other as people try which station was involved. Sure, the two stations are running very different formats but this won’t necessarily stop brand confusion. Some of the Kiis publicity may benefit Kiss in building awareness (the big one will help out the little guy). The original Kiss FM is a niche dance music broadcaster, doesn’t participate in the official GFK radio ratings and has very limited marketing budgets. On the other hand, Kiss has established and built the ‘Kiss’ name as a brand in Melbourne and they believe ARN may potentially damage their reputation. Both stations seem to have made up since January 2014. However, the issues of brand confusion will become more prominent now with two Melbourne stations now on air with essentially the same name. To read more about this story, see our blog about the launch of Kiis 106.5 in Sydney. I’d love to hear your thoughts. Would you risk using a brand name similar to a competitor and why? More coverage in the media of our Talent Inc! Australian personal brand report.